Dr. Cyndi Burnett is an Associate Professor at the International Center for Studies in Creativity at Buffalo State. She has a Bachelor of Fine Arts in Theater, a Master of Science in Creativity, and a Doctorate of Education in Curriculum, Teaching and Learning, all of which she uses to help “ignite creativity around the world.” Her research interests include: the use of creative models and techniques with children, creative thinking in higher education, and current trends in creativity. Her work includes projects such as: working with educators to bring creative thinking into the classroom, connecting communities of creative thinkers via social media, and designing and running a Massive Open Online Course (MOOC) on Everyday Creativity. Dr. Burnett is devoted to creating engaging lessons in education. In addition to teaching creativity professionally, she serves on the Board of Trustees for Elmwood Franklin School in Buffalo, is a Learning Advisor for DIY.org, and is a consulting editor for the Journal of Creative Behavior. Dr. Burnett was featured in an article in the New York Times titled, “Creativity Becomes an Academic Discipline.” She is the co-editor of the Big Questions in Creativity book series and co-author of the books Weaving Creativity into Every Strand of Your Curriculum and My Sandwich is a Spaceship: Creative Thinking for Parents and Young Children. E. Paul Torrance Graduate Student Research Award- American Creativity Association. Creative Studies Alumni Foundation Achievement Award. Burnett, C. (in press). Exploring the role of intuition in Creative Problem Solving. The International Journal of Creativity and Problem Solving. Burnett, C. & Dawson, M. (2015). 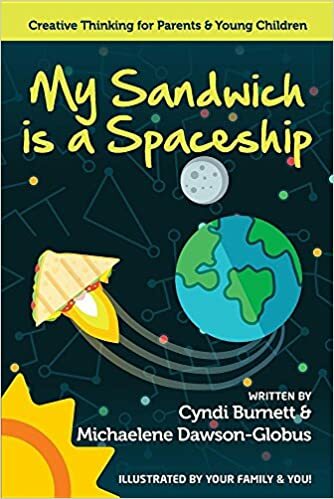 My Sandwich is a Spaceship: Creative Thinking for Parents and Young Children. Buffalo, NY: International Center for Studies in Creativity Press. Burnett, C. & Figliotti, J. (2015). Weaving creativity into every strand of your curriculum. United Kingdom: KnowInnovation Press. Culpepper, M. & Burnett, C. (2015). Big questions in creativity: Volume 3. Buffalo, NY: International Center for Studies in Creativity Press. Culpepper, M.K., & Burnett, C. (2014). (Eds). Big questions in the field of creativity. Buffalo State: International Center for Studies in Creativity Press. Burnett, C. (November, 2013). The role of intuition in Creative Problem Solving. In Piirto, J. (ed.) Organic Creativity. Waco, TX: Prufrock Press. Burnett, C. & Francisco, J. (July, 2013). The role of intuition in creativity. In the Encyclopedia of Creativity, Invention, Innovation and Entrepreneurship. NY, NY: Springer Publishing. Burnett, C. & Reali, P. (2013). (Eds). Big questions in the field of creativity. Buffalo State: International Center for Studies in Creativity Press. Burnett, C. (2010). A holistic approach to Creative Problem Solving in higher education. In J. P. Miller, The whole child (pp. 55-57). Toronto, Canada: University of Toronto Press. Burnett, C. (2010). Holistic approaches to Creative Problem Solving. Unpublished doctoral thesis. Toronto, Canada: University of Toronto. Keller-Mathers, S. & Burnett, C. (2015). Leap Feet First into Creativity! Invited Opening Keynote at the 61st Annual Creative Problem Solving Institute. Burnett, C. (2015). Creativity as Problem Solving. Invited Keynote at Interdisciplinary Colloquy to Understand Creativity. University of Toronto, Faculty of Music. Burnett, C. & Keller-Mathers, S. (2014). Playing with a Creativity Skill Set: Organically Weaving Creativity into Content. Connecticut Association for the Gifted. Keller-Mathers, S. & Burnett, C. (2014). Playing with a Creativity Curriculum Design: Using TIM to Weave Creativity into Content. Connecticut Association for the Gifted. Burnett, C., Cabra, J.F, & Burnett, A. (September, 2013). Towards Frictionless Collaboration: Teaching Creativity in a 3D Virtual World. Marconi Institute for Creativity Conference: Bolgna, Italy. Burnett, C. & Keller-Mathers, S. (June, 2013). Come and play with TIM: Integrating creativity into your content. Creative Problem Solving Institute: Buffalo, NY. Burnett, C. & Scott, T. (March, 2013) Creative Thinking Skills in the 21st Century. Creative Country Workference (via skype): Co Clare, Ireland. Burnett, C. (November, 2012). How technology is changing the way we create and solve problems. Keynote at Creativity Bootcamp: State of Creativity Forum. Oklahoma City, Oklahoma. Burnett, C. (November, 2012). 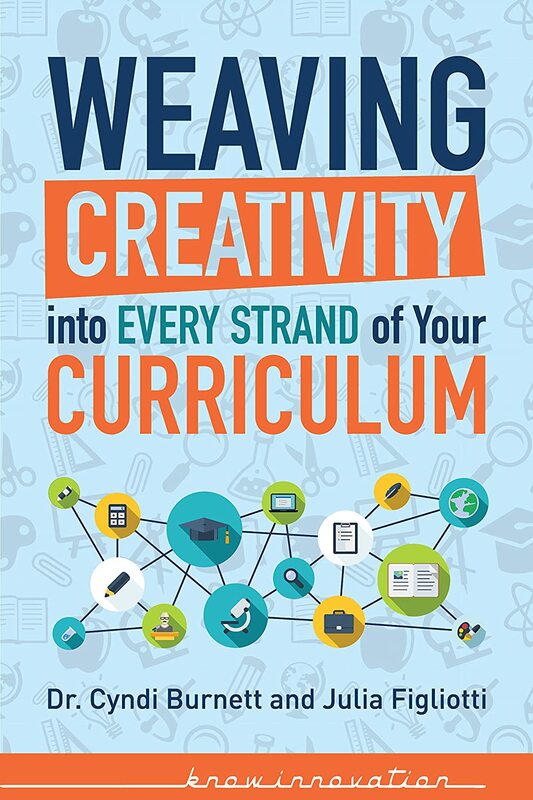 Weaving creativity into every strand of your curriculum. State of Creativity Forum. Oklahoma City, Oklahoma. Cabra, J. F. & Burnett, C. (November, 2012). Advancing 3D Virtual World Instructional Tools. Faculty Research and Creativity Fall Forum. Buffalo State, Buffalo, NY. Burnett, C. & Cabra, F. (October, 2011). 21st century creative collaboration in a 3D virtual world. Buffalo, NY: University of Buffalo: Genteels Excellence in Teaching Conference.